After putting our camping equipment away using [Storage] when we’d reached a spot away from the town, we ran up the mountain trail almost empty-handed. Even though Ichika wasn’t being assisted by a clothes golem, she was after all a former C-rank adventurer and was able to properly keep up. Although I ignored Ichika’s good advice when she said we should prepare camp since it was going to be night soon, we kept our sight by using light magic tools prepared beforehand. We arrived at the [Ordinary Cave] when the sun had set completely. Oops, should’ve gone inside first huh. Rather, I haven’t told Ichika our destination yet have I? I thought about it while bringing her here, but I wonder how I should explain…? This is home!—or something? That’s right. Its appearance hasn’t changed since the bandits were here after all. … If it’s going to become an inn in the future, a lot of changes need to happen huh. Wonder how I should make the dungeon a crowd puller? While using the light magic tool, I lead Meat and Ichika into the cave. Stone floorboards paved the passage, and multiples of [Torch for Dungeon Lighting (50 DP)] illuminated the inside. When I opened up the map to check it out, Ichika was being treated as an intruder. Huh? That’s strange. Despite Ichika also being my slave… ah, I treated Meat as a hug pillow (item) huh. Meat and I both have gotten used to it recently, so I don’t really feel guilty over it despite sleeping with her as my hug pillow. People aren’t suitable for being hug pillows… there was a time I thought that too. There was a problem at first when I was inexperienced and that accident happened, but she’s been a very comfortable hug pillow since then… Might be hot in the summer though. She was bragging. Well, she did make the pitfalls after all. 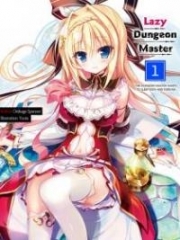 A transformation period was the rapid growth a dungeon went through that was explained in the [Introduction to the Study of Dungeon]. According to Haku-san’s addition, she only said it to hide the effects of a dungeon battle. Meat was walking smoothly in front of Ichika, she’d perfectly memorized the traps’ positions. … I just realized. Couldn’t I have went in from the separated goblin room if I used dungeon core castling? Or rather, couldn’t I be retrieved to the core room if I asked Rokuko? Hmm, my head is hurting. My vision was filling with white light as Ichika asked. I felt a sensation of floating, my field of view blurred, and I was suddenly in a right room. Right, it was the master room. Looks like Rokuko was able to retrieve me. Of course, Meat and Ichika also here… Ichika was still being shown as an intruder on my map, though. Turning towards the voice, I saw the blond-haired little girl-type dungeon core, Rokuko. She was smiling with her arms linked in an imposing stance. Since Rokuko was a dungeon core, her longevity was also long. Her sense of time was probably different from a human like me. Haku-san said she was alive around a hundred years. Ichika was holding her temples. Though she was trying to figure it out somehow with her common sense, it couldn’t be helped since the information her common sense was giving her was wrong to begin with. Unable to hold back any longer, I called her. Why’d I turn into something like that?